Sweet nose full of ginger with hints of cinnamon, orange peel and vanilla, in the mouth not as sweet as the aroma suggests with spicy ginger, orange marmalade, vanilla, slightly woody, boiled tobacco and lime zest. Fresh long sweet ginger finish. 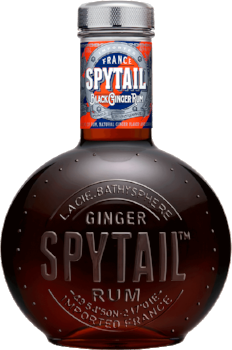 Spytail Ginger Beer Rum Cocktail Recipe. Fill a suited glass with ice, add Pimento Ginger Beer and top with Spytail Ginger Rum.